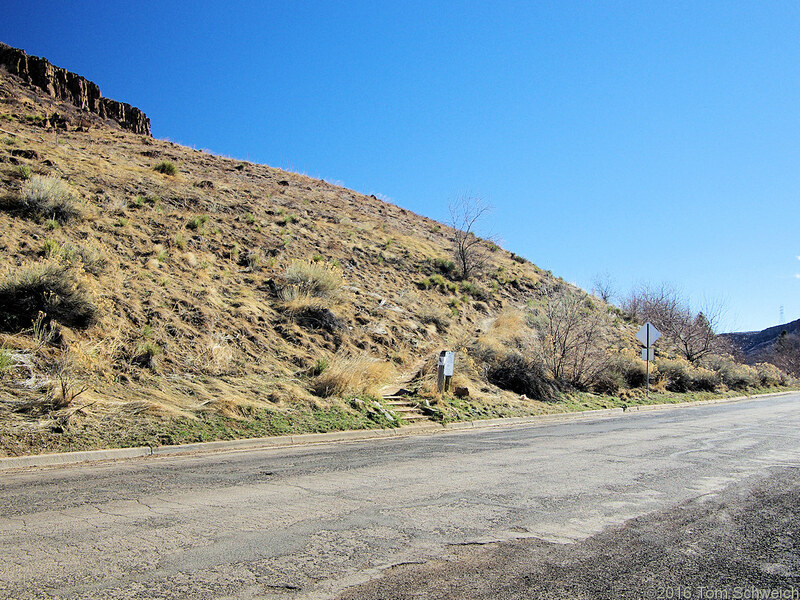 Photo: Peery Drive trailhead of North Table Mountain Trail. Eastern Mojave Vegetation Peery Drive trailhead of North Table Mountain Trail. Checklist Flora of Native and Naturalized Vascular Plants of Golden and Vicinity, Jefferson County, Colorado: CoG trl. hds..
Peery Drive, Golden, Jefferson County, Colorado: at trail. North Table Mountain Trail, City of Golden, Jefferson County, Colorado: at Peery. Field Notes: 18 Feb 2016.